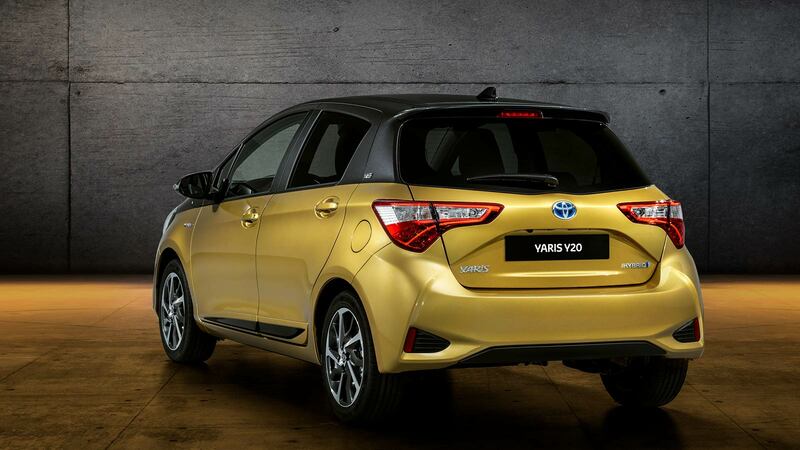 Toyota is paying tribute to the original Yaris by introducing a new, limited edition Y20 grade to its 2019 model range, marking the 20th anniversary of its successful B segment car. Through two decades and three generations, Yaris has become firmly established as Toyota’s best-selling model in Europe and a firm favourite with Irish drivers. Displayed for the very first time at Paris Motor show in 1998 it’s only fitting that the Y20 Yaris will be revealed for the first time at the upcoming Paris Motor Show on the 2nd October. 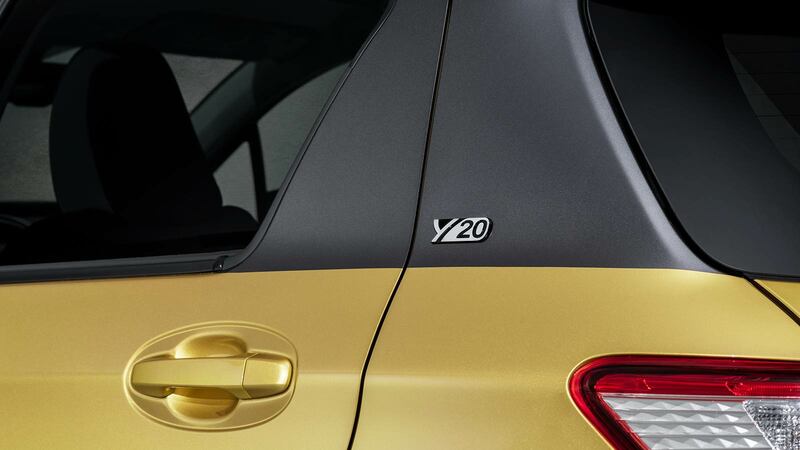 For this special event there will be an initial production run of 1998 Launch Edition Y20 models featuring the same gold paintwork used by the first Yaris back in 1998, but with the contemporary twist of a bi-tone dark grey roof. Standard and bi-tone versions will be available, the latter matching silver, pearl or black bodywork colours with a new dark grey finish for the roof. The exterior styling uses dark grey features to distinguish the Y20 within the Yaris line-up. These include, 15-inch grey and machined-face 10-spoke alloy wheels, and dark grey side mouldings, front grille, door mirror casings and fog light surrounds (with chrome detailing). The Y20 also sports a shark fin antenna, colour-matched to the roof, dark-tinted rear privacy glass and special Y20 badging at the rear. Prices start from €19,740 or from €190 per month. For more information on pricing, specifications and grade levels, build your Yaris Y20 below or visit your local Toyota dealer.